In this edition of the SA parkrun newsletter, Potchefstroom parkrun proves enough to awaken even the dead! Elana Meyer of Root44 parkrun is set to run her first Two Oceans Ultra Marathon. Raiding a parkrun near you, Kieth Norman talks to us about a running sub-group within parkrun. Modern Athlete’s monthly parkrun feature is available online. 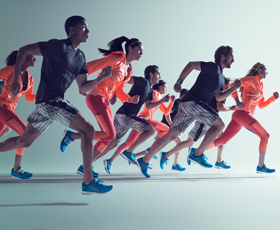 Boost your running with adidas and check out the health tips, brought to you by Discovery! After a few false starts Potchefstroom parkrun was finally launched on February 15th by 92 enthusiastic parkrunners and an excited team of volunteers. I know Paul Sinton-Hewitt will be delighted to hear the news as he attended Potch Boys High school. When the Potch parkrunners were told that parkrun was started by one of their number they were ecstatic. 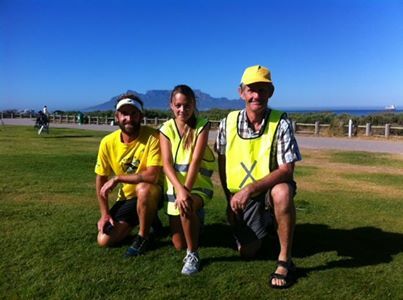 Congratulations to Manie Esterhuizen and his team for a great job in getting the parkrun out of the starting blocks. The course is usually a flattish two lapper but heavy summer rains had inundated the bridge which runners must cross so Manie quickly organised a compromise 3 lap run. It was particularly encouraging to see the wonderful support given to the “Potch” parkrun by assistant manager of the municipality Thomas Muswede, and the Tlokwe municipality. They mowed the grass, laid out the route and removed two truckloads of rubble and rubbish. As Always Discovery/Vitality were there to offer our runners snacks, juices, refreshments and coffee. After the parkrun Kayleigh Karsten and Romina Vita were helping to pack things away when they noticed a suspicious item lying in a heap of bubble wrap close to the edge of the river. Kayleigh had an uneasy feeling that it might be a body. Romina felt that they should investigate but Kayleigh was frightened and warned that if it were a body they would “be involved”. However Romina felt that at the very least they had to have a peek at the suspicious pile and so together, in fear and trepidation ,they approached the pile very gingerly. The scene was awfully macabre. In front of them lay a man wrapped in several layers of bubble wrap. His discarded cap lay alongside and one arm protruded rigidly from the bubble wrap. He looked dead and appeared not to have moved an inch for hours. Kayleigh was worried that advanced decomposition may have commenced. Romina nudged the body with the toe cap of her shoe. At the mention of the word;” police” the upper torso of the body sat bolt upright in a shroud of popping bubble wrap. Romina and Kaleigh fled screaming to their car. There they bolted the doors, and screeched off in a cloud of burnt rubber and dust. Only minutes later did they see the funny side and began laughing. 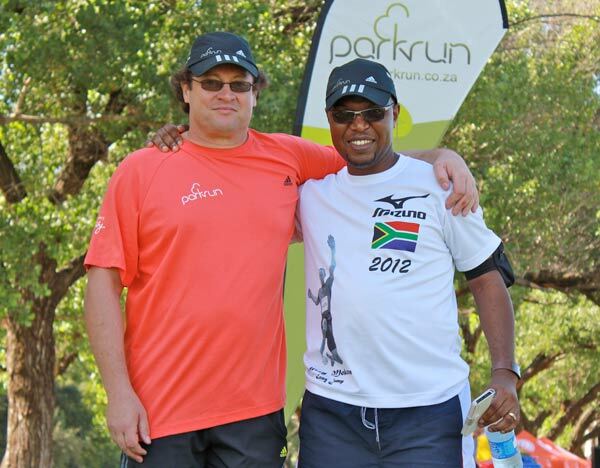 Clive Smart was very influential in the early founding days of the Summerfields parkrun in Mpumalanga. As a White River resident however he was always keen to start a parkrun in his town. On the 15th March our third Mpumalanga parkrun will start. We are all looking forward to an exciting launch Clive. The March edition of our Media Partner, Modern Athlete Magazine is now out. In it you can read about the Bryanston parkrun in Johannesburg and Summerfields parkrun, Hazyview. To read the Digi-Mag, simply click here or, subscribe to receive it to your inbox on a monthly basis. Fear of injury is one of the barriers to exercise for senior citizens. Choosing a low risk form of exercise and progressing at a pace that the body is able to adapt to is a possible solution. Every time we use sugar, we increase the likelihood of tooth decay. If you can, cut sugars out altogether and drink water or unsweetened fruit juice. If you have children, remember to dilute their juice with water. CAPE TOWN, 30 JANUARY 2014, Elana Meyer (CEO of Endurocad and Root 44 parkrun run Director) and Janet Welham (COO of Endurocad) announce that they will both be running the Old Mutual Two Oceans Ultra Marathon to help raise funds so that South African athletes can benefit from ENDUROCAD Satellite programmes. They will be using the GivenGain platform as a fundraiser, and appeal to the South African public to support them through their cause either by supporting them as activists themselves or by donating the cause directly. ENDUROCAD uses parkruns throughout South Africa to spot talent. Endurocad provides the opportunity for South African endurance athletes to improve their times, make a living from their talent and to build a brand and business for life after sport. I was a little apprehensive when David Ashworth, our regional parkrun director, requested that I write an article for the parkrun newsletter on a little parkrun revolution that we have got going on right here. What is it all about you might ask? Well, we are the Florida RC parkrun Raiders. It all started about 18 months ago by a few 50-something old school friends who decided to try parkrun as an alternate Saturday morning run. Catherine, who has clubfeet (one foot runs for Pirates and the other foot Florida), lives near Delta Park and the rest of us near Len Rutter Park - the home of the Roodepoort parkrun. We alternated between the two venues on Saturday mornings. Our little group grew in strength to about twelve parkrunners. Some newbies (also old school friends) joined us and started their running journey from scratch at parkrun. Some of the more seasoned runners in the group incidentally have run sub 2:30 and 2:40 marathons many moons ago and now, parkrun has renewed their interest in running. Unfortunately not all that is well ends well, disaster struck. Mark had a mild heart attack on the Roodepoort parkrun and not too long after that, Sharon suffered a stroke during a parkrun as well. They both recovered well and are running pb's regularly. Doctors have commented that if it was not for the two of them running regularly, the outcome could have been somewhat serious. As new parkruns were introduced, our merry little group started venturing further, the parkrun Raiders were born. The 50 to 55 age group is very competitive, in fact ruthless. The parkrun Raiders now consist of a group of about 30 parkrunners from the Florida, Golden Reef and Pirates running clubs who use the Roodepoort parkrun as their home run. Alternate weeks, we "raid" another parkrun and in the process, run the hell out of each other. Our age groups range from 13 - 73 and most of us are well on our way to getting our 100 t shirts. You will always see us after the parkrun, chatting, having a coffee and scoffing a muffin or two. The Florida RC parkrun Raiders gains a new member every week, and it is nothing out of the ordinary for us to do a 100km round trip to run a parkrun. Our favourite parkrun is Rietvlei and we rate Woodlands as the toughest! Next time you see us at your local parkrun, please come and say hello, parkrun is the most exciting happening in South Africa since the 80's running boom. Uvongo parkrun takes place across two beaches and through the Vungu Admiralty Reserve between St Mikes Beach and Uvongo Beach. To date 42 parkruns have taken place. Plans are currently in place for permanent signage and for some timber footpaths to assist those that find parts of the trail a bit challenging, especially when it has been raining. We have excellent support from our community, not only as participants but also as volunteers. There is never a Saturday that we are short of volunteers. Thank you to all of you! Deborah Berridge is a runner who offers herself as a ‘lead’ for blind runner, Judith Smith. Judith is regularly spotted running while holding onto Deborah’s arm. Deborah Berridge is back to training hard for the upcoming Comrades and is a regular at our parkrun. 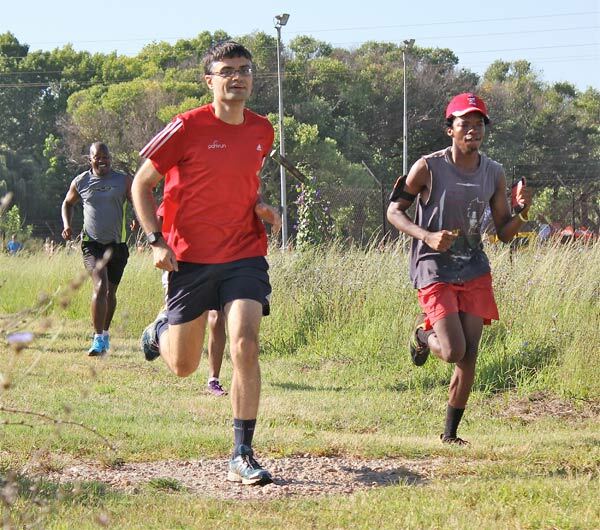 Philip Prinsloo is fast approaching is 50-Club status and will be presented with his red T. Philip has been at every Uvongo parkrun since its inauguration. Although he never took part in the inaugural run, he was there at the start to see what parkrun was all about. On Saturday, 22nd February 2014 Philip completed his 41st parkrun. Well done to him! Colin Berkland, a Vetarin Master (80-84 age catergory), who regularly walks with his wife Joan, has been on his own lately. Joan is currently overseas in the UK for 6 weeks and Colin is quick to say that he is not waiting for Joan to come back to do parkrun. He can do it without her. We look forward to seeing Joan back in a few weeks. Our parkrunner of the month for January was Nikki Schlehmeyer. She was awarded a R150.00 meal voucher from a regular sponsor, Breakers Restaurant in Uvongo. Thank you to CANSA South Coast for kindly supplying Uvongo parkrunners free sunblock at the start of Saturdays parkrun. Uvongo parkrun finish takes place in front of a local restaurant, C-Bali, on the Beach. parkrunners who present their barcodes are eligible for a 10% discount on their drinks and/or breakfast. We hope to see you all on Saturday! Club: Used to belong to Boksburg Athletics Club. Completed 7 Comrades Marathon runs. What do you like about volunteering at parkrun: The interaction with the runners and their appreciation for the role that volunteers play at the runs. The satisfaction of giving back to a sport that gave me much joy and satisfaction over many, many years. Most memorable or funniest parkrun volunteering moment: Most memorable moment was watching a father interacting with his young son at the halfway mark. His son did not go round the halfway marker. His father stopped him and gave him such a lovely talk about not giving up when the end is in sight. To go all out and all the way until the race is finished. The sons reaction – “Thank you daddy, I will remember that” - and then came back to the halfway marker, went around it, touched it, smiled at me and started on his way to the finish. My reaction – just choking with emotion. How can we encourage volunteering at parkrun: Thought long and hard about this. There are a number of ways but too many to mention here. However, I would say one of the ways is to appeal to the goodness and kindness that is inherent in all people and just ask the runners to volunteer. It is a fact that the parkrun can only take place if there are runners and volunteers.